How are you doing? How is the weather for you? We are living like modern Eskimos geared with heavy jackets, layered and bundled up for bone numbing temperature that steeps down in the negatives mostly during the morning. I am looking forward for the Sunshine and the warm weather. I guess I gave you an intro on how I feel about this weather and my mood. It reflects in my posts and the pictures. My hubby was pointing out that I prefer moody pictures now a day. All I have to blame is this weather which creates that mood for me. If we analyze human nature, it will speak the truth. I like a balance of cold and warm weather and it makes things fall in the right place for me. My expectation is that it's about time to show some signs of spring and that's where the problem lies. We have expectations and it is just our conviction of how we want things to be and if something happens against it or ruins the expectation, that lingers around and hinders our mood. At least that is true for me. Let it be a photo submission to food gawker expecting that your picture will be accepted, but it may not be acceptable for others. Keeping high expectation about anything is not good. The underlying truth is that what you expect may not be the outcome all the time, so let it take its course and come up with its own outcome or destiny. C'mmon... Am I getting too philosophical????? Ok, let's deviate from that darker corner and think something bright like Valentine's Day. Hope you all had a great Valentine's Day. I baked Meringues and made some Coconut Chocolate bars, but unfortunately I couldn't post it earlier and they were all gobbled by my munchkins. Valentine's day evening was a sweet treat for my kids. Lil Noah and Nicole brought a load of candy from school. All Nathan had was 5 Hershey kisses. As usual I served the kids some snacks and made chocolate milk for them. They were all sitting cozy under the blankets and were watching Sponge Bob. I went to make some tea in the kitchen. There comes the big cry from Noah, I rushed thinking that he fell or something happened. He was crying for his ring that he got from school that has a flashy florescent green light that he traded with Nathan for 5 Hershey kisses. Apparently Noah had made a deal with Nathan to trade his cool ring for 5 Hershey kisses. Noah was crying for the ring back. I told Noah to give Nathan's Hershey kisses back so that Nathan can return the ring back to make it a fair deal. Noah was like,"I don't have the candy." To my inquiry of what happened to the candy, he was smiling and crying at the same time and gently answered that he ate all of them!!!!! It took me 10 minutes to convince Noah that once something is traded, it's done for good. Also Nathan found the ring to be 'cool' and wanted to keep it, even though he knew that Noah will make a big deal about it, he found the situation to be amusing and didn't want to give up. After 5 to 10 minutes of reconciliation process, Noah agreed to have Nathan keep the ring for that night and return to him the next day. Noah waited for Daddy to come back from work and tell the entire story. We couldn't stop laughing and my hubby had his share of explanation for lil Noah about trading 'goods'...lol.:). In my today's post I have a simple and delicious granola that can be made ahead and used as snack, topping for desserts or in breakfast parfaits. I make a big batch of this granola all the time, so that kids could enjoy it as a snack with nuts after school and it's mainly used in the breakfast parfait on busy mornings. So if you are looking for a 5 minute easy healthy breakfast option, this recipe is for you!!! 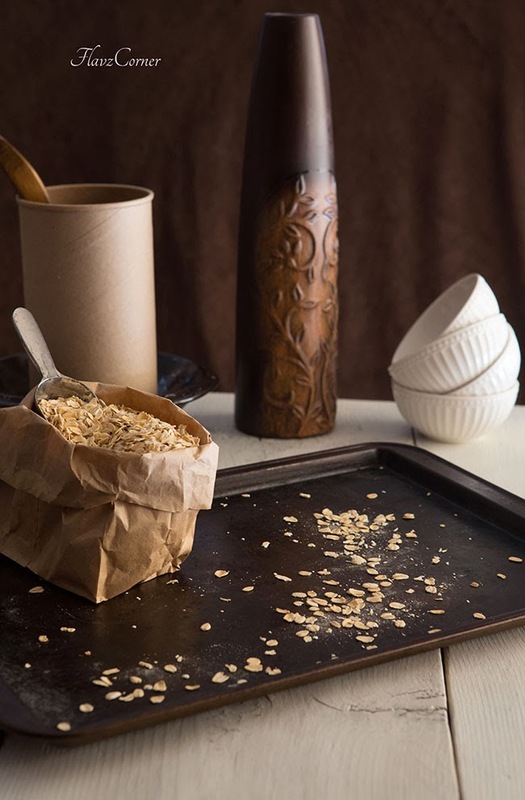 Pre-heat the oven to 300 F.
Spread the rolled oat on a baking sheet and bake for 25-30 minutes. In a microwave safe bowl, mix maple syrup, honey, oil, brown sugar, cinnamon and oil and microwave for 1 minute till all the ingredients are mixed together. Increase the temperature of the oven tp 350 F.
Pour the mixture over the roasted oats and mix well. Sprinkle the shredded coconut over it. Spread evenly and bake for 15 minutes. Take the granola out and let it cool completely. As it cools, it will get crispy and break the crumbled granola if it is clustered together. Fill 1/4th of the glass with yogurt. Spread the granola over it and pour the honey/maple syrup on it. Add the berries/fruits of your choice and top with another layer of yogurt. Top with berries/fruits of your choice and drizzle honey/pure maple syrup over it. 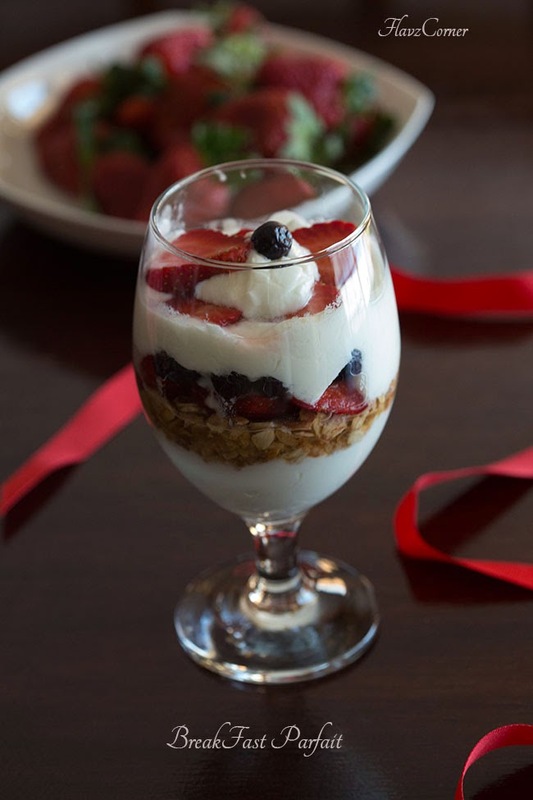 Enjoy the freshly made parfait which is filling & healthy when compared to the store bought granola bars. While making granola, don't over bake the oats which can burn them. The oat will be soft when you take out, it will get crispy once it cools down. Feel free to add roasted nuts like almonds, walnuts, pepita or flax seeds etc to the baked granola. If you are adding raisins or any other dried fruits, please add them to the baked granola and not to the baking mixture as it will burn the fruits. You can use Vanilla yogurt or any flavored yogurt for the parfait. But I usually make my own yogurt, so I prefer the plain ones over store bought flavored ones. Adjust the honey or maple syrup according to your taste. Don't make the parfait ahead as it will soak the granola and won't taste that great. 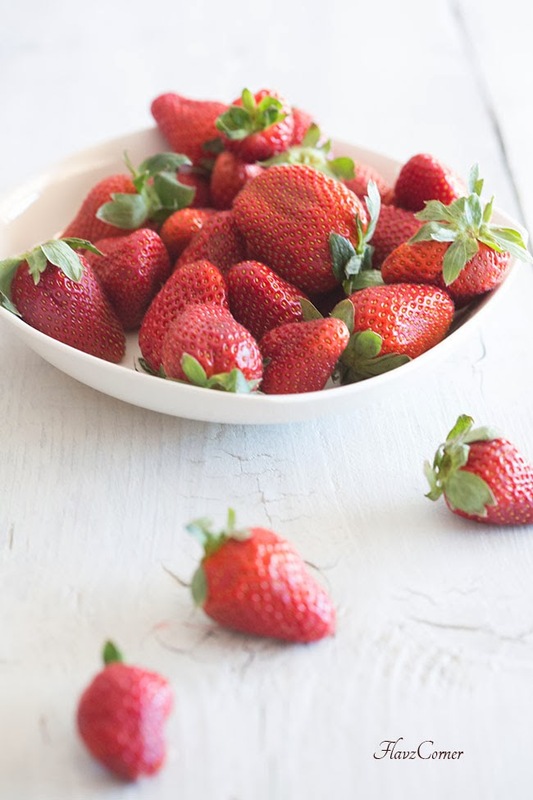 All you need is some cut fruits or fresh berries and just assemble them before you want to have it. It only takes 5 minutes or less to make it, so make it fresh and enjoy!!! Ever since I found about granola, I can't get enough of it...I specially like it the parfait way. Granola parfaits are so healthy and easy to make ... Looks yummy Shibi !! looks fantastic n beautiful clicks..
Hope you had a great Valentines. A perfectly healthy way to begin any day. Lovely pictures. Finally, we got some rain in the Bay and thankful for that, lovely weather though. Take care. I have always been crazy for parfaits -- especially this one that contains a granola with coconut. It looks the perfect start for the day! What a great breakfast to kick start the day! Beautiful clicks! I need to cook recipes like this one, healthy & delicious, and looking at your beautiful photos I get a big smile on my face. We've had a bit of a break from the cold and snow, but it'll be quite chilly again next week. Love this parfait! It looks so festive and appetizing. Good stuff -- thanks. What amazing clicks ! 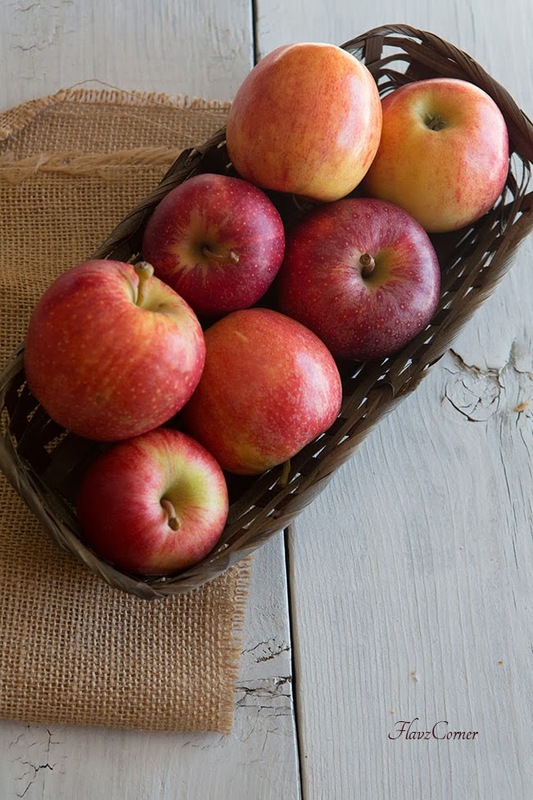 The one with the Apples is just the cracker ! 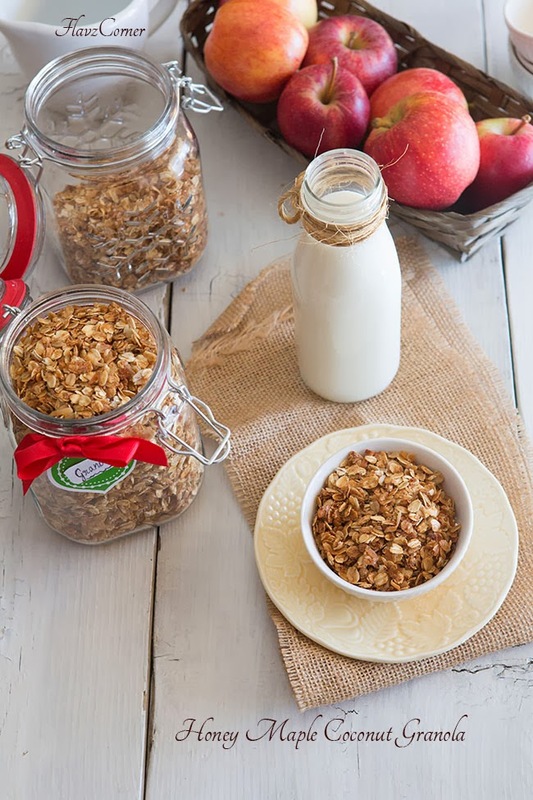 I love homemade granola and I'm always looking for new recipes to try. Yours looks delicious! And your photos are gorgeous! Great minds must think alike... I just whipped up some homemade granola as well! Love how you paired your granola with some fresh fruit and yogurt! Such a great way to start off your day! Just yesterday I made some granola bars I think everyone is trying to shed the extra pounds gained. Hi Shibi, how are you? This looks so yummy, and it's pretty! I love granola. Definitely I recipe to try. Lovely clicks Shibi and I loved the addition of coconut to it!